Quiz and Fly is a free serious game in the field of edutainment and financial literacy, suitable for a broad audience, young to old, French, Italian, German and English speaking. 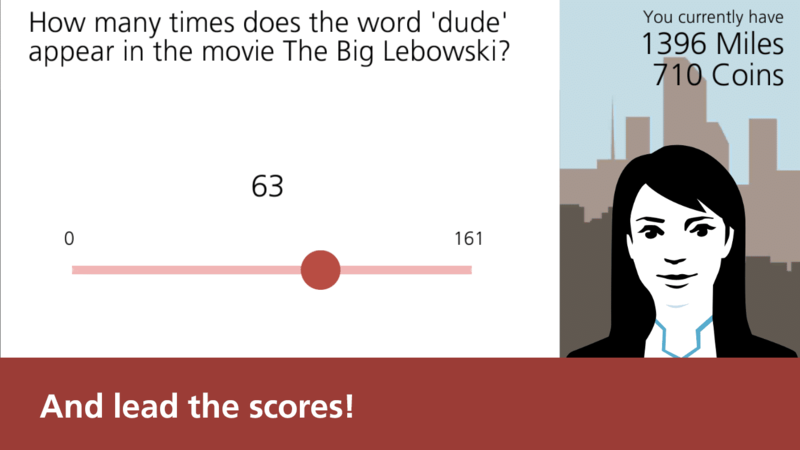 Players travel the globe to unlock new quizzes. 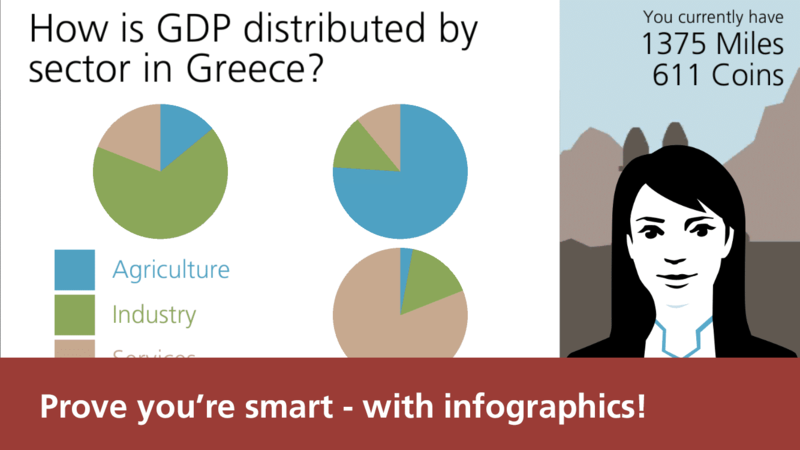 The questions and answers are designed in the style of infographics. The app is provided for free by UBS Switzerland. The retro-style game is compatible with smartphones and tablets. 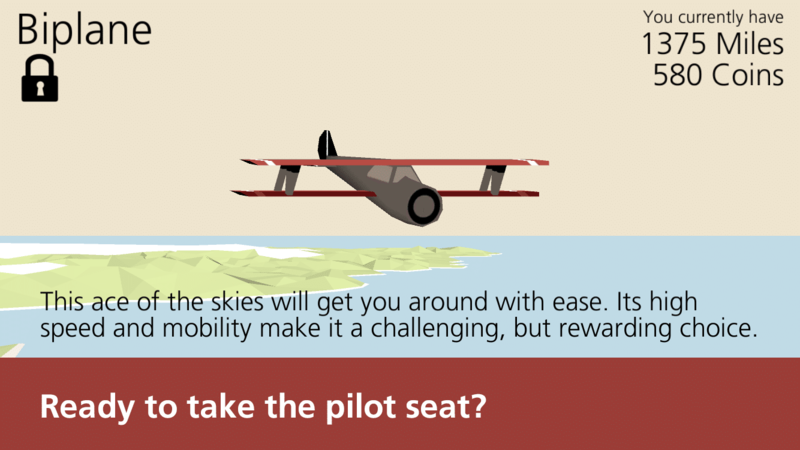 Players pilot a virtual plane, collecting coins to reach new quiz challenges. Once a new destination is reached, players answer questions that are related to the region. The 3D-based game renders the world accurately in a reduced retro-style and invites players to prove their knowledge on general banking vocabulary, global economic key figures and cultural topics that are sponsored by Swiss bank UBS. As players progress in the game, the goal is to continuously update the app’s question catalogue with new content such as seasonal topics and upcoming sports events. Gbanga Millform developed the Quiz and Fly game as a native mobile app for Android and iOS. 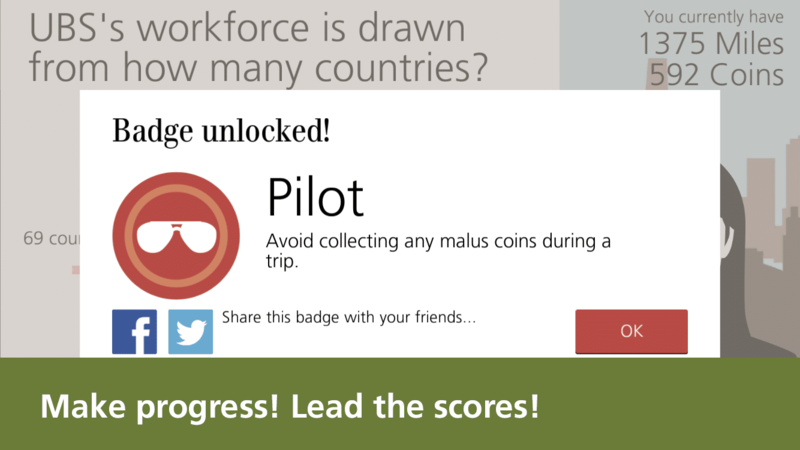 For recruiting new employees and apprentices (Swiss Berufslehre), the client’s HR department created a dedicated quiz with specific questions within the Quiz and Fly-App. Players that have completed the quiz could then download a certificate in PDF format to attach to their official application to the bank. 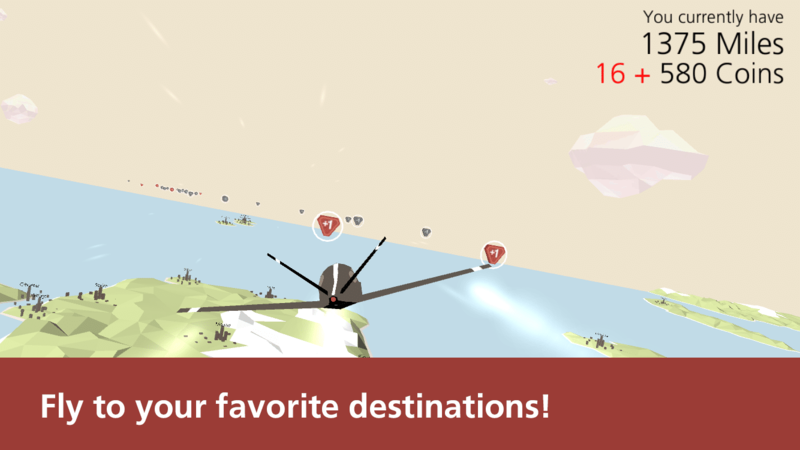 Quiz and Fly has won Bronze at the Best of Swiss App 2014 awards in the category «Games». The app was available 2014 – 2018 for Android and iOS.